Keep hydrated with the Crystal Gems! 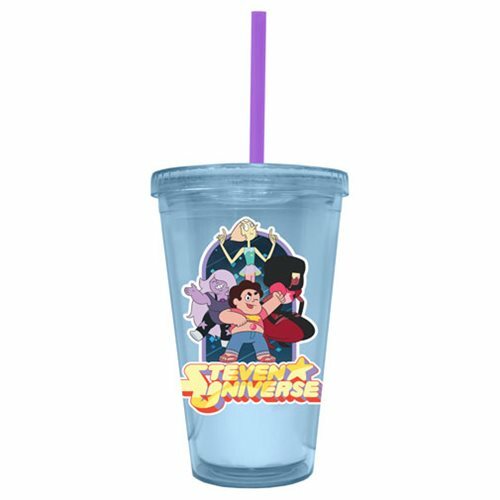 This Steven Universe Group Travel Cup features Steven, Garnet, Amethyst, and Pearl! Holds up to 16 ounces of liquid. Hand wash only. Not dishwasher safe. Do not microwave. Ages 13 and up.